What Else Do We Make? 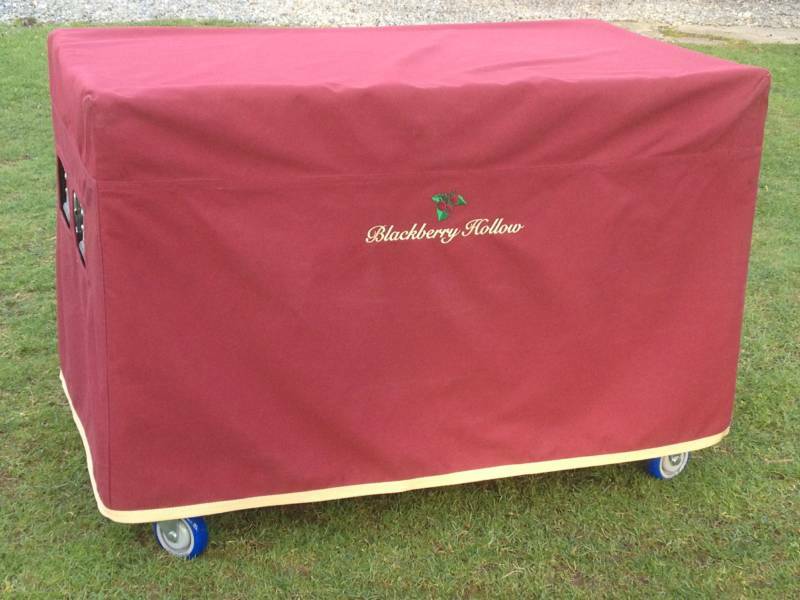 At Blackberry Hollow we want to be your supplier for elegant and functional storage equipment and accessories for your horse show tack room. 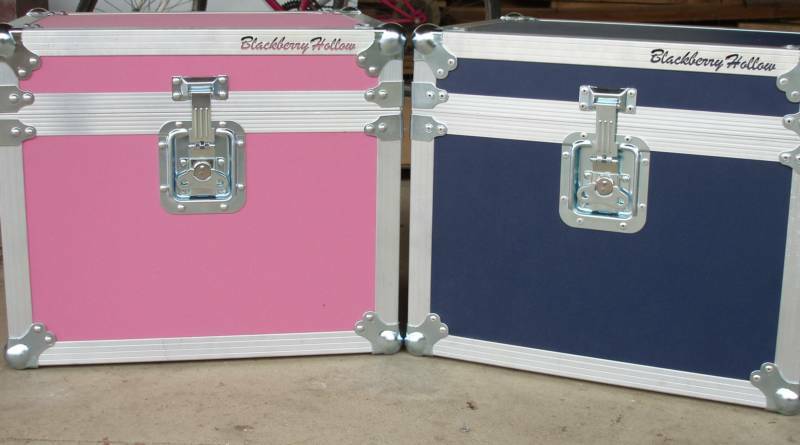 We want to make you the finest tack boxes, tack lockers, or tack trunks. Simply put, if you can describe it we can build it. 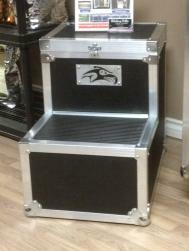 A more recent innovation is the tack locker. Whereas the trunk is longer and the lid opens upwards, the locker is taller with 2 opening doors on the front. One door contains bridle hooks and a shelf for boots, etc while the other door has 3 shelves. 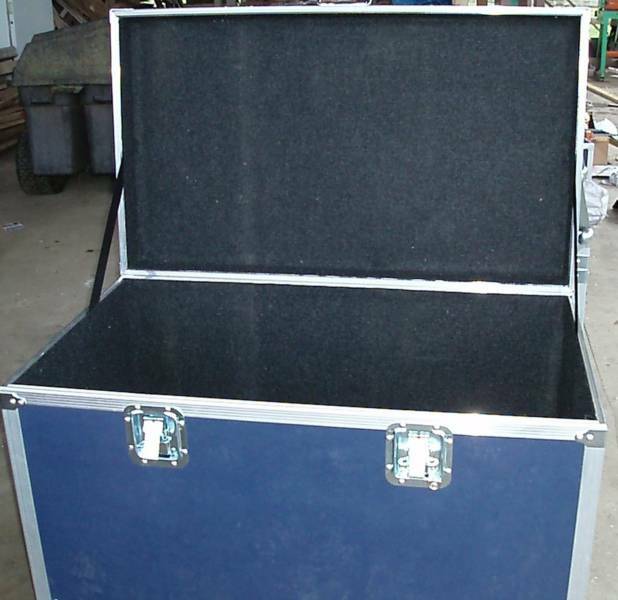 The lockers can be made in any size but most people order either a 39 inch high locker which usually has one saddles rack or the 48 inch high locker which has 2 saddle racks. Lockers also have a number of aluminum drawer on full extension drawer slides. 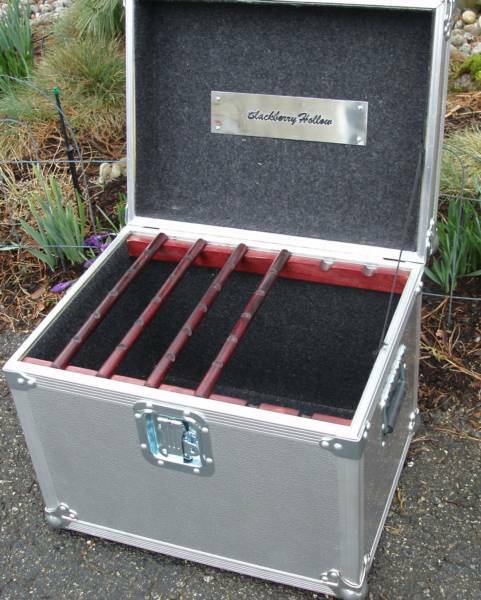 Of course, as is the case with all our trunks and lockers, the locker has one locking drawer with a combination lock. If you have an older trunk that is still in good shape but needs some tlc or perhaps a Warner/Phoenix West box that needs new panels because you changed barns it might be cost effective to have it refurbished. Call us for details. If you are into colors, we have colors. A whole rainbow of colors. Same elegance and robustness as the aluminum skin but in the color of your choice. 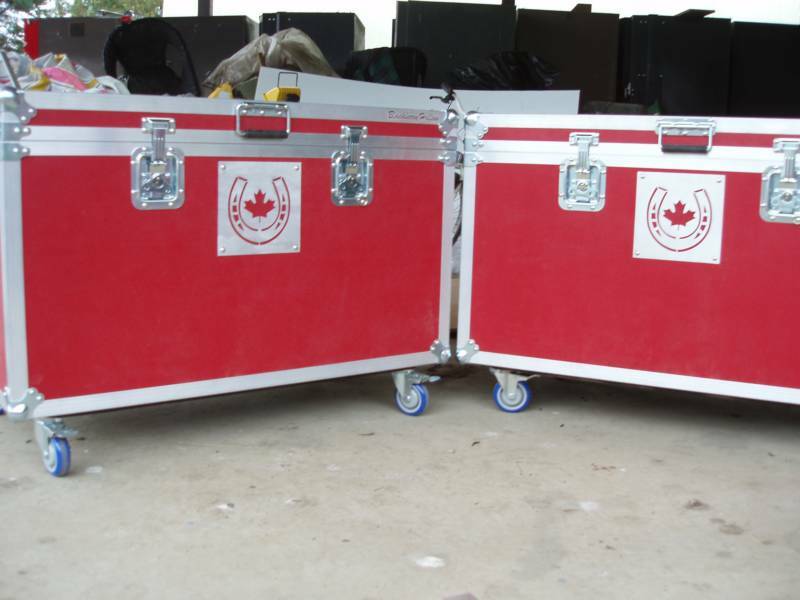 Many riders prefer the traditional type of tack box normally referred to as a tack trunk. These come in all shapes and sizes and configurations. 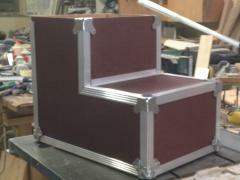 We can build them any size but most people prefer either our “short lid” trunk or “tall lid” trunk. 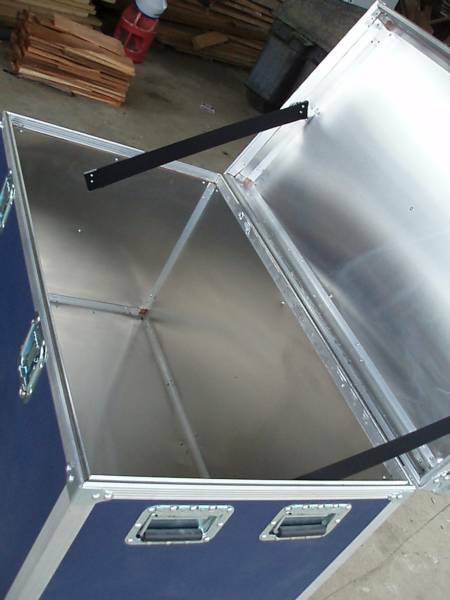 The “short lid” trunk is a trunk with no accessories in it and is usually used for carrying blankets and pads. 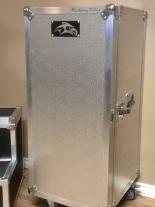 The “tall lid” trunk has a deeper lid which contains a bandage/wrap holder, bridle hooks, mirror and magnetic white board. 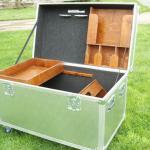 It also has a removable saddle rack, a sliding tray and a locking bit compartment.